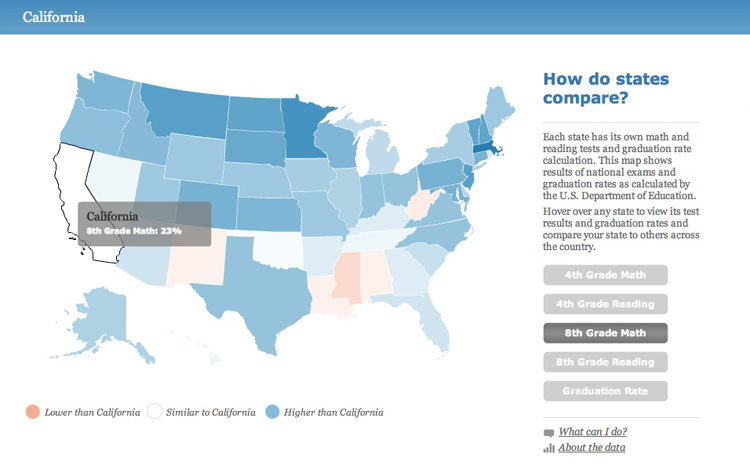 Infographic of the Day: How Does Your Kid’s School Stack Up? 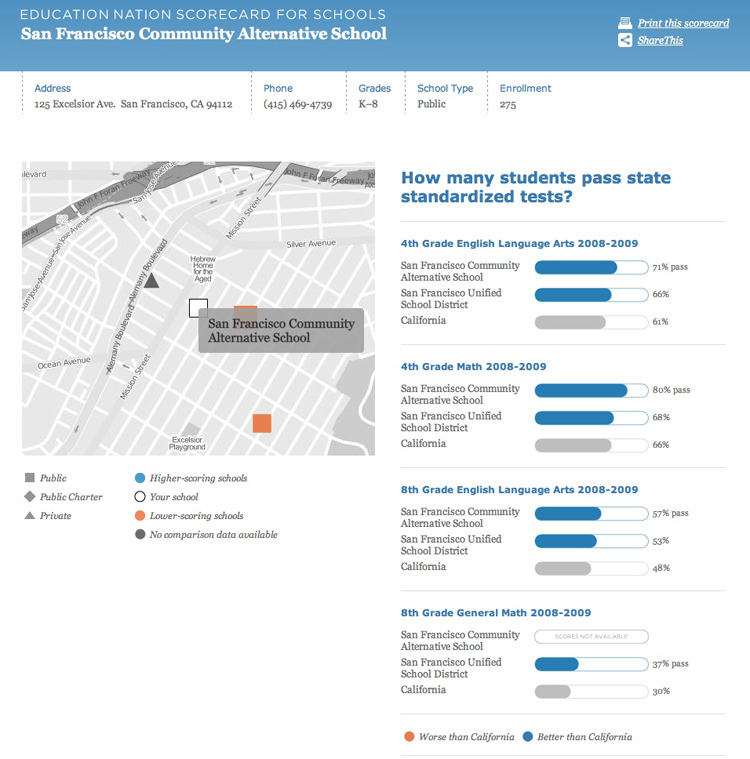 The Gates Foundation has produced an online tool that every parent should see: The Education Nation Scorecard for Schools, which shows the performance of each and every school in the United States, and allows you to compare them across districts and states. 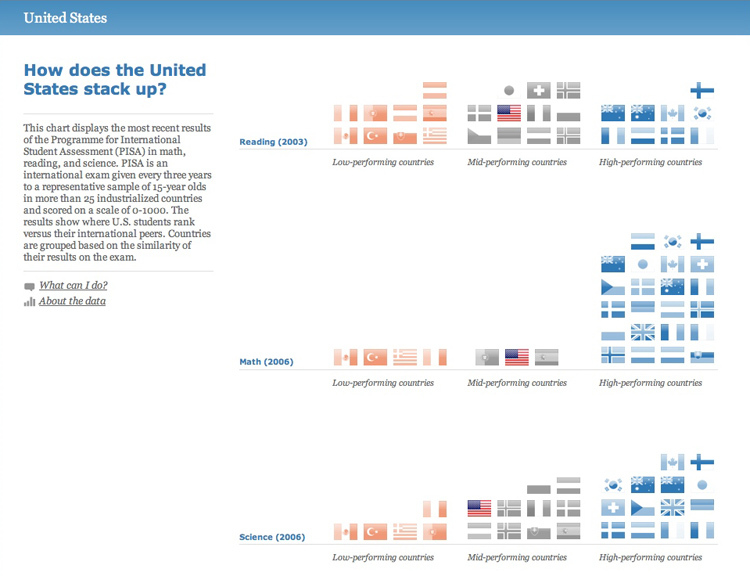 The charts were created by Fathom (the firm led by data-viz genius Ben Fry). They’re draw from data filed each year by the various states’s departments of education. In all, this is perhaps an even more impressive series of charts than the last effort we saw from the Gates Foundation. Check it out, and see how your local schools perform.